Take a pan pour very little water & add all the above mentioned ingredients. In a open pan cook the palak for 3 to 4 minutes(do not over cook & change the colour of the greens). Switch off the stove,cool the mixture completely,blend it to a smooth paste. Heat oil in a pan & temper it,pour this hot tempering into the ground mixture,mix it well. 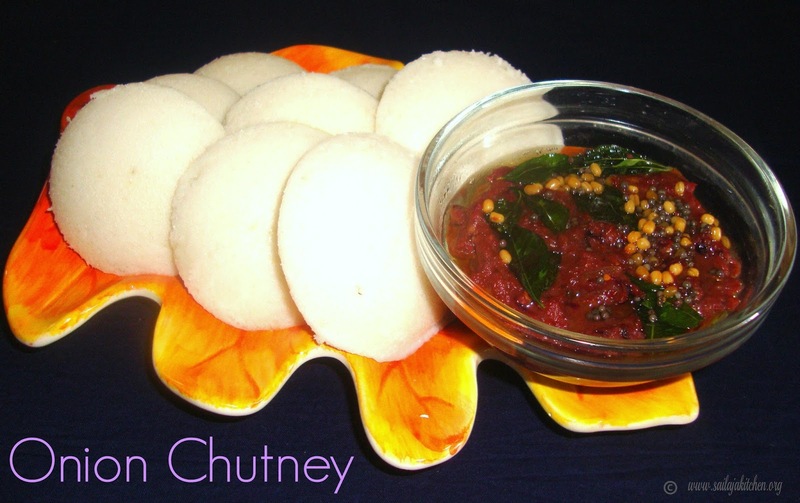 Serve this yummy chutney with plain rice. Heat oil in a pan roast urad dal,red chillies,hing and ginger till light brown. Now add the toothuvalai kerai and fry till the leaves shrink.add salt mix and switch off the stove. Cool mixture and grind to a smooth paste. Mix with hot rice and enjoy. Heat oil in a pan fry red chillies,urad dal till light brown. Add chopped onion & garlic fry till raw smell has disappeared. Add the salt,hing & tamarind mix and switch off the stove. Cool everything and grind to a smooth chutney. Pour the hot tempering into the chutney mix. 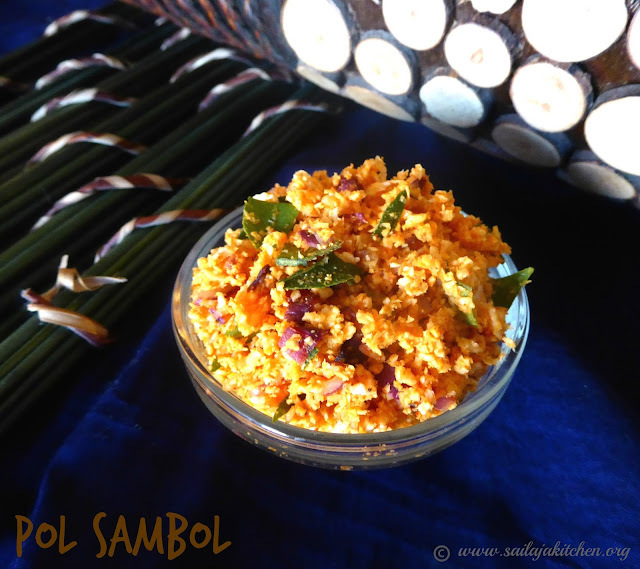 Best served as side dish for Idli and Dosa. Take a mixi jar/blender jar add chillies,tomato,garlic and salt. Do not add any water and grind it to a very smooth paste. Heat oil in a pan and temper it with above mentioned ingredients. Pour the ground paste and saute for 2 to 3 minutes or till the raw smell disappears,switch off the stove. Best served with Idly or Dosa. Fry these above ingredients till raw smell disappears,cool & grind it to a smooth paste. Heat oil in a pan temper it,pour it on the ground chutney,mix. Take all above mentioned ingredients in a bowl. Gently mix it using your hand. Take a pan add the cranberry and cook till its mashed in medium low heat.Do not add any water..
Now add the jaggery and cook till its well combined.Switch off the stove. 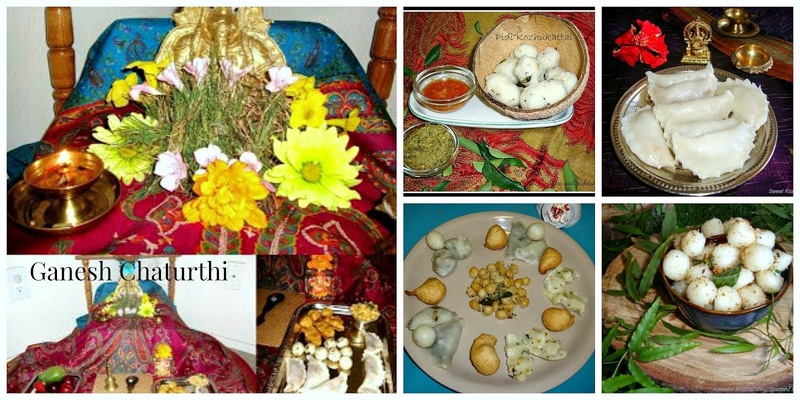 While still warm add it to the cooked thokku. 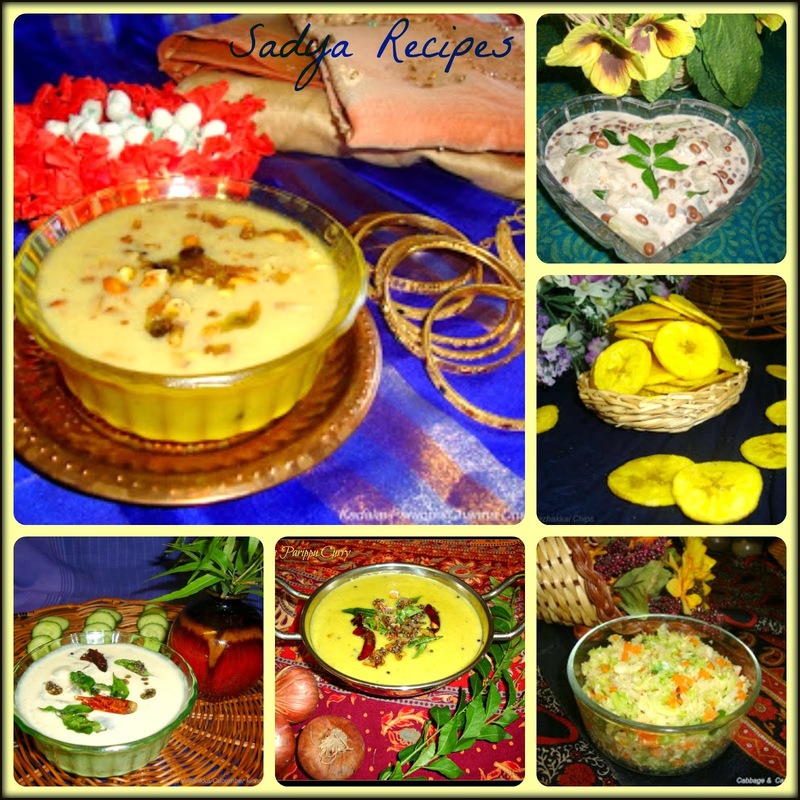 Best served with rice or roti. Heat oil in a pan fry all above ingredients till light brown & raw smell disappears. 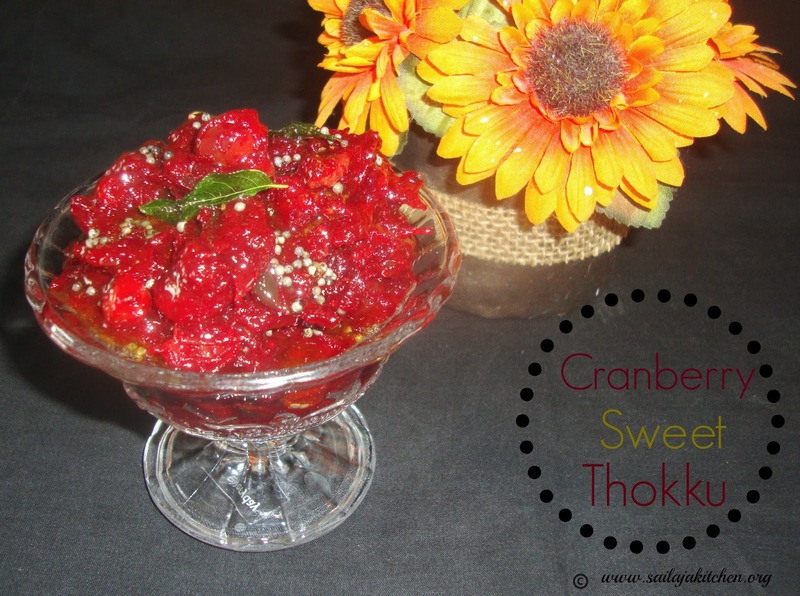 Cool completely & grind it with salt & brown sugar to a smooth chutney. Tempering for this chutney is optional. Heat oil in a pan fry brinjal,onion,garlic,tomato,green chillies,red chilly,salt & turmeric powder till soft.Add the tamarind and mix it. Cool the mixture & grind to a smooth paste using a blender. Heat oil in a pan and temper it.Pour the hot tempering into the chutney and mix it well. Best serve with plain rice. Heat oil in a pan add channa,urad dal,jeera,red chillies fry till its light brown. Now add the broccoli,hing,turmeric powder,ginger,fry till raw smell has disappeared. Cool this mixture add salt & tamarind.Grind this to a coarse paste. Add water little by little if needed,transfer to a bowl. Pour this hot tempering on top of the ground paste,mix & best served with rice. 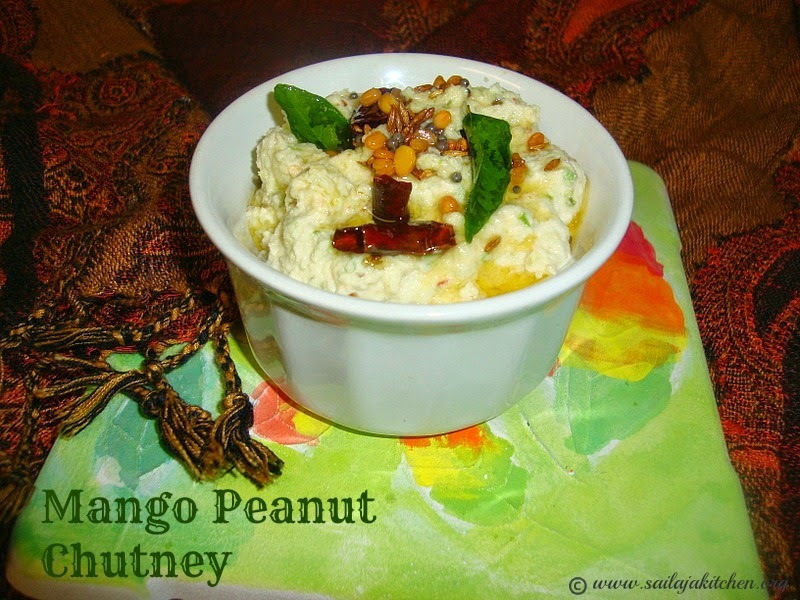 Blend mango,peanut & salt to a smooth paste. 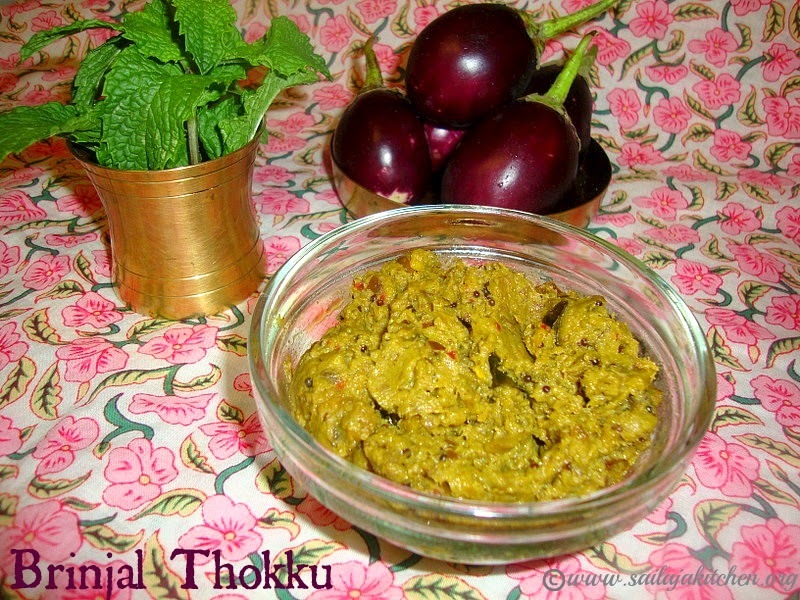 Pour this tempering into the ground chutney,mix & serve with Rice /Idly or Dosa. Heat oil in a pan fry tomato,coriander leaf,green chillies,broccoli,salt & turmeric powder till tomatoes are slightly mashed & raw smell of the vegetable has disappeared. 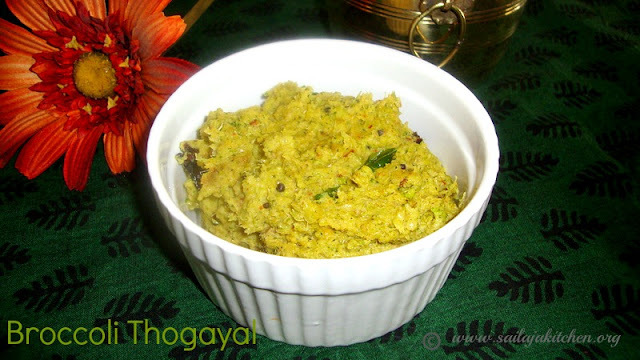 Cool the mixture & grind it to a smooth thick paste along with garlic,jeera & tamarind. 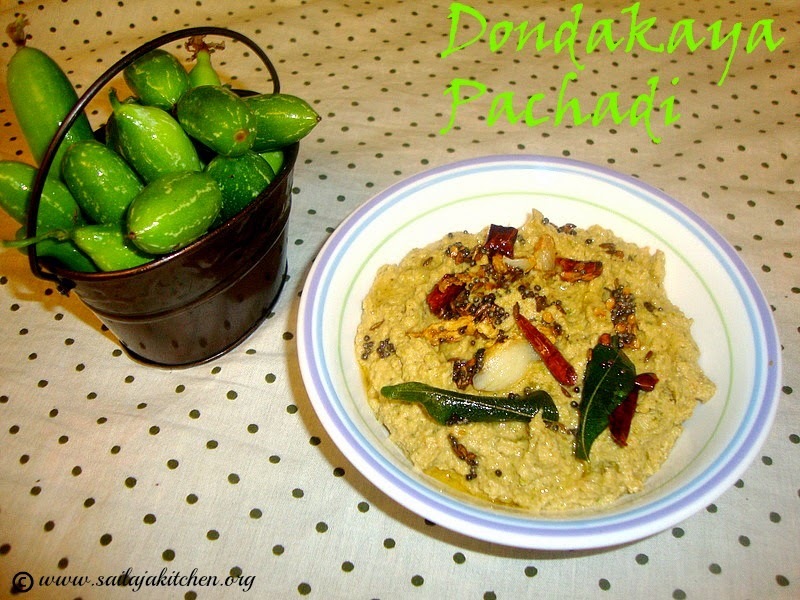 Tempering for this pachadi is optional. Wash & pat dry the cranberries. Heat oil in a pan & temper it with mustard,urad dal,red chillies,curry leaves,hing & crushed garlic. Fry till garlic is light brown,Now add the salt,turmeric powder,red chilly powder & the cranberry,saute for a minute. Cover with a lid & in medium low flame cook till its completely mashed & oil has started to separate from the thokku. Add the jaggery, powdered methi powder and mix it well.Switch off the stove. Cooled the thokku & store it in a clean bottle in fridge. 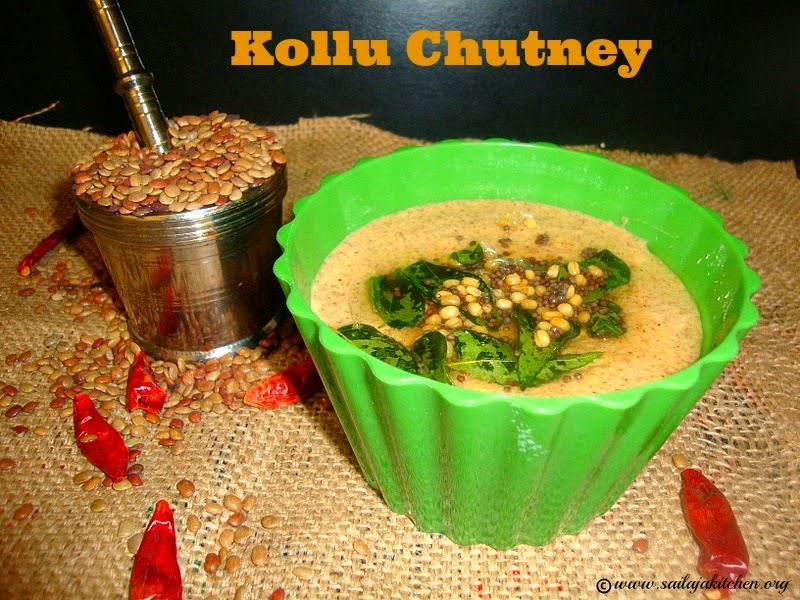 Best served with Dosa,Idli or Rice. a) Add chilly powder according to your taste. b) Adding garlic is optional. Add oil in a pan add all the above ingredients. In low flame fry till sesame seeds starts to splutter. Switch off the flame cool & grind to a very thick paste.Add very little water if needed. Best served with Ulunthu Sadam. Heat 1tsp of oil add red chillies,tamarind,urad dal & hind.Fry till its light brown in colour.Keep it aside. In the same pan fry coconut for 1 or 2 minutes.Switch off the flame. Add needed water & grind all the fried ingredients along with salt to a very smooth chutney. Pour this into the chutney,mix & best served with Dosa/Idly/Ven pongal. 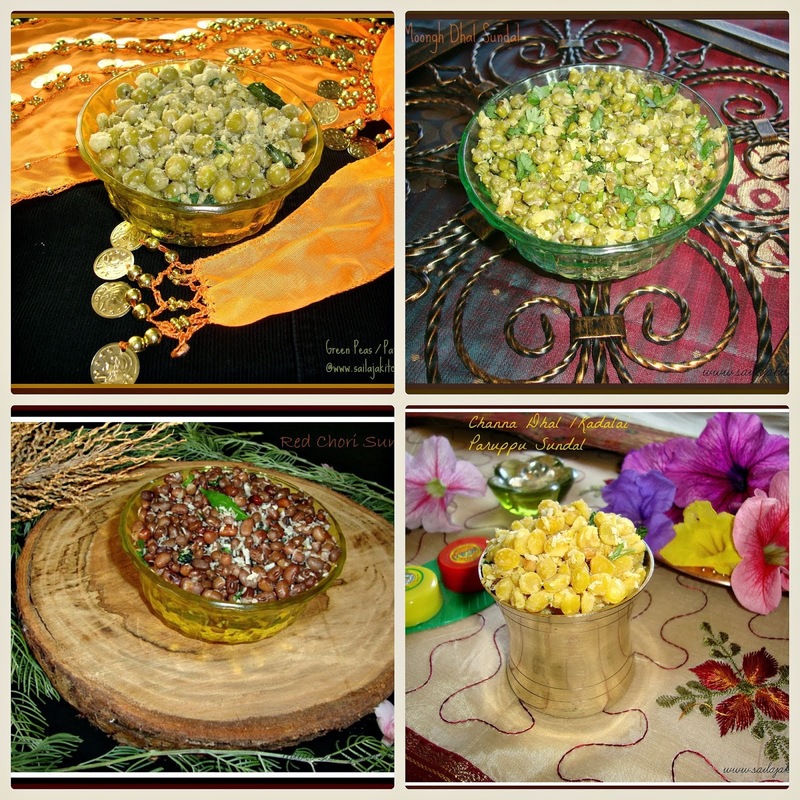 In the same pan dry roast channa dal,jeera,coriander seeds,coconut till light brown. 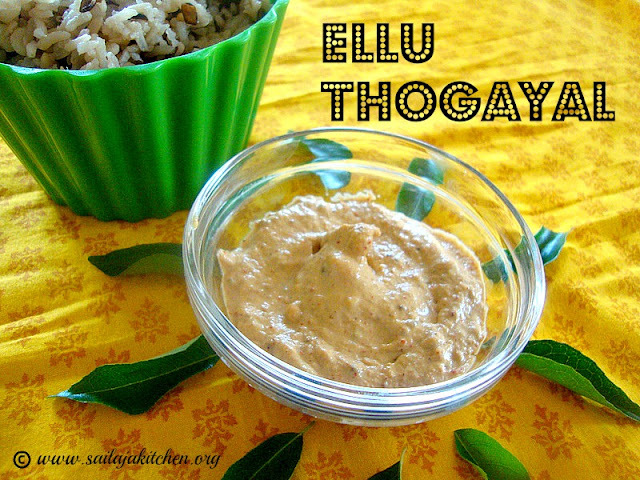 Cool all the ingredients & grind with salt,tamarind & little water to a smooth paste. Heat oil & temper it with above ingredients. Pour it into the chutney mix & serve with any tiffin . Heat 1tsp of oil in a pan in medium low flame fry all the above ingredients till light brown. Cool the mixture & grind it to a semi smooth thick paste.Add very little water for grinding.Transfer this to a bowl. Heat remaining oil in a pan & temper it with above ingredients. Pour it on top of the ground mixture. Mix well & best served with plain rice. Heat 1tsp of oil in a pan add the chopped brinjal,salt & turmeric powder.Fry this till its cooked,keep it aside. 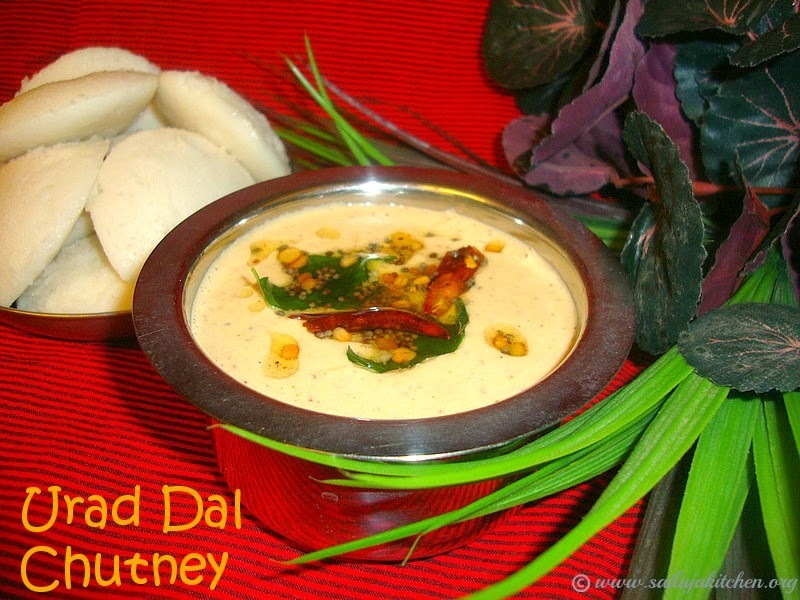 In the same pan add 1tsp of oil fry toor dal,urad dal,pepper & red chillies till its light brown in colour. Cool the fried mixture,take a mixi jar add the fried dal ,tamarind & fried brinjal.Grind this to a smooth paste,do not add any water. Heat 3tsp of oil & temper it with above ingredients,now add the ground paste & in low flame fry till oil separates the pan. 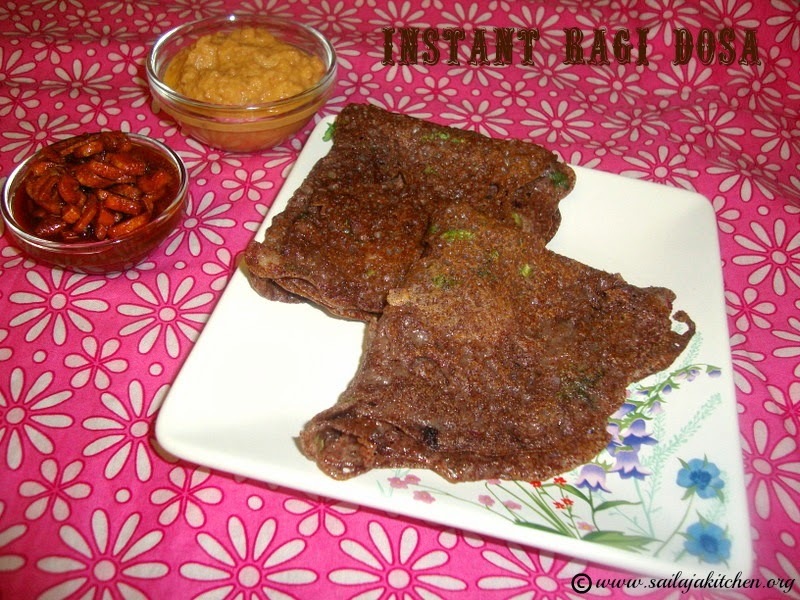 Heat oil fry urad dal,red chillies,onion &coconut till light brown in colour. Add the tamarind,salt & hing fry for a minute.Switch off the stove & cool the mixture. Grind this to a semi coarse paste,add very little water while grinding if needed. 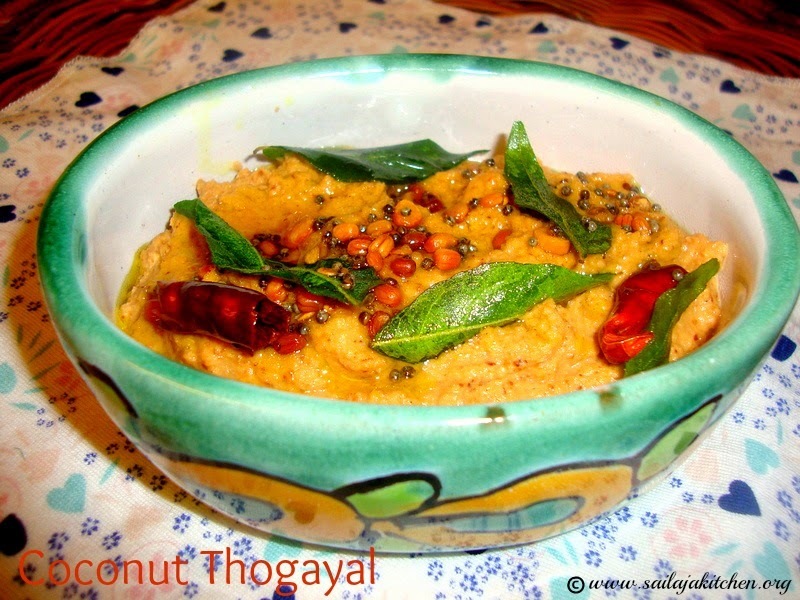 Pour it into the thogayal,mix & serve it with hot rice. 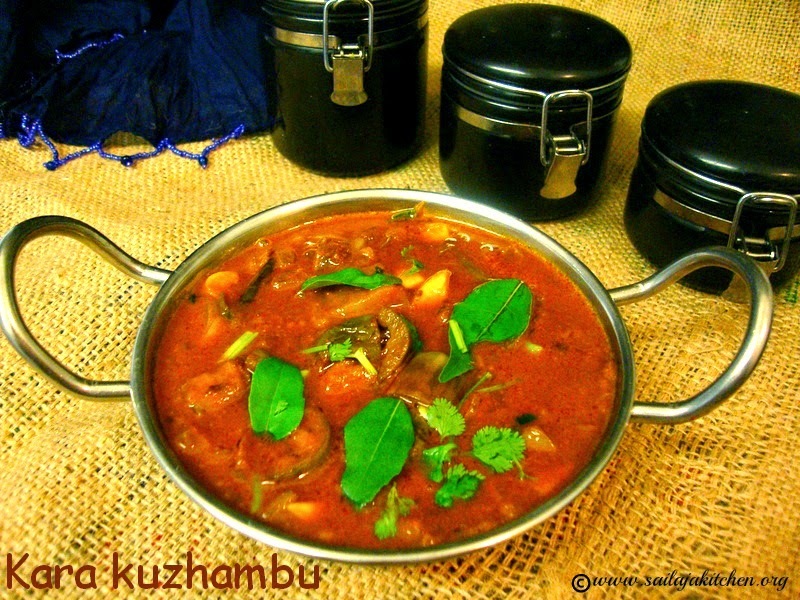 Heat 1tsp of oil & fry peanuts,tamarind,green chillies,turmeric,salt & tomatoes.Saute till tomatoes are soft & mashed well. Cool the mixture completely & blend it to a smooth paste. Pour it into the chutney mix. 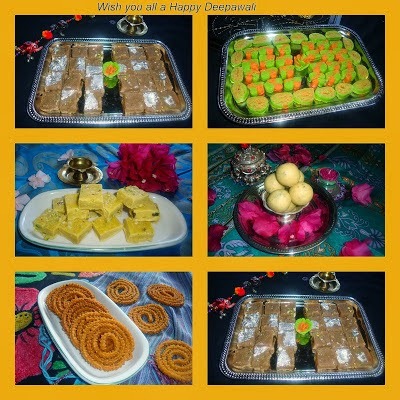 Best served with any tiffin.